The only familiar dishes that comes to my mind when talking about Vietnamese food are Pho and fresh spring rolls. I've watched and read different features on Ho Chi Minh's street food culture, all have said that it is on the street where one can find great tasting dishes. So when we visited Ho Chi Minh, I made sure that most of our meals will come from the streets. Aside from the numerous motor bikes on the streets, I also notice the several street food vendors around the city. The vendors are parked on the sidewalk and they would sell a variety of snacks and meals in their baskets, tin cans or push carts. I noticed three types of main dishes found everywhere in Ho Chi Minh. Com Tam or broken rice, Bun/Mi or noodles and Bahn Mi or bread. On our first morning, we met up with a local, Trinh. We asked her if she could take us to a local breakfast place, she brought us to the local market where we found numerous eateries selling different types of food, mostly noodle dishes. We got to try out three kinds of noodle dishes, the first of which is Bun Moc, it is basically a pork meatball noodle soup. With all dishes in Vietnam, a side dish of vegetables are serve, usually consisting of bean sprouts, mint, basil, chillies and a lime wedge. The sprouts, herbs and chillies are mixed together with the soup depending on how much you want to put in. Adding a squeeze of lime adds a layer of additional flavor. The broth tasted really clean and simple, I added a little bit of Hoisin and chili sauce to add more flavor into it. Trinh told us that the habit of adding Hoisin sauce was introduce and done by the Chinese-Vietnamese. Bun Gio Heo is a pork knuckle noodle soup, it had a piece of a tender gelatinous pork knuckle, pork slices and steamed coagulated blood. I initially thought that the soup would be acrid because of the coagulated blood but it didn't. Just like the Bun Moc, it tasted so clean and simple. Our favorite among the noodles dishes we had is the Mi Quang. The rice noodles were of yellow color because of turmeric. Strips of pork, shrimp, cilantro, dried chillies and sesame rice crackers make up the dish. I initially thought it was a dry noodle dish but when I started mixing everything up, I saw the simmered broth under. The simmered broth is packed with so much flavors, fish sauce was also added that had a distinct flavor. Adding a little squeeze of lime completed everything, every flavor on the noodle dish complimented each other so well. So good! After having breakfast, we came across a lady on the street selling Che. Che is a sweet soup that reminded me of the local dish, ginataan. The coconut based thick sweet soup had mung beans, jackfruit and tapioca balls. Before serving the soup, a ladle of coconut milk was added to the soup. At the park near the Reunification Palace, there was a street snack that Trinh insisted we try out, a snack that looked like tacos. The Bahn Trang Nuong is delicious! It was like eating a crunchy taco, the grilled rice paper is filled with shrimp paste, spring onions and a quail egg, hot sauce was also added. One notable thing that I learn about Vietnamese cuisine is the importance of Bahn Trang or rice paper. This is one of the staple food that can be found in Vietnam. They practically use this everyday in their meals. 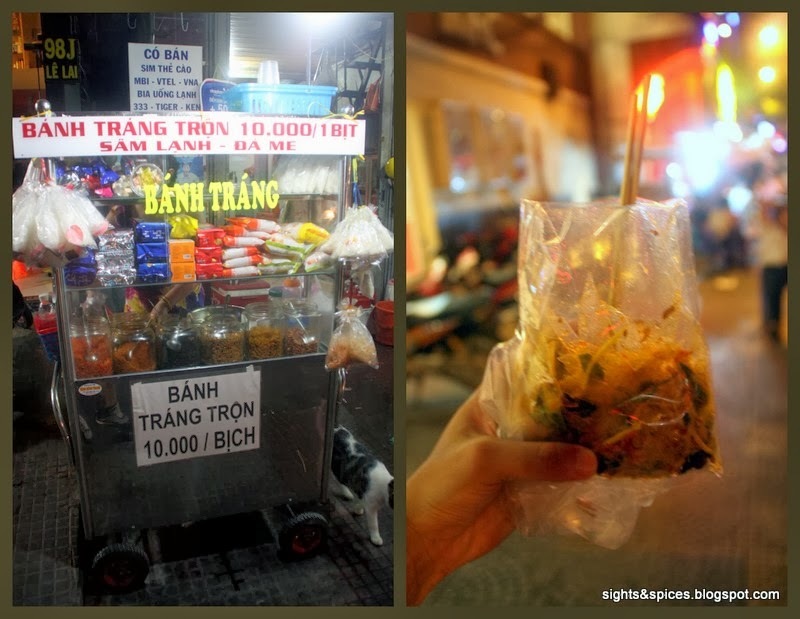 Another rice paper snack we go to try out was the Banh Trang Tron. Also known as rice paper salad, strips of rice paper mixed with a variety of stuff. The one we tried had chopped vegetables, quail eggs, sesame seeds and peanuts. I'm not sure what kind of dressing was used but it tasted sweet, salty and sour. With our stomachs still full to the brink, we already decided to skip dinner until we passed by Ben Tahn Market. The street was so festive, it made us want to hang out in the area. Hanging out meant eating and drinking at one of the food tents. I grab the opportunity to try out one of the popular local eats, the Banh Xeo. The pancake/crepe like dish was made using rice flour. Inside the pancake was shrimps, chunks of pork and bean sprouts. Served with a plate of lettuce, mint and a watered down sweet and sour dipping sauce. The proper way of eating the savory pancake starts with getting a piece of lettuce and placing pieces of mint on the leaf. Get a portion of the pancake and place it on top of the greens, roll the mustard leaf, dip and eat. Aside from the Bahn Xeo, we also ordered a plate of grilled So Huyet or blood arca, a type of shellfish that I've never heard or seen before. There was a number of unfamiliar looking shellfish that was being sold, we just asked what tasted best and this is what the vendor recommended. It tasted ok, the flavor and texture was like any ordinary shellfish. The small shells were harp to pry open, when we asked the server how to do it, he willingly opened every little single thing. While eating the So Huyet and Ban Xeo, we also ordered a couple of the local beer, Saigon Beer. There were two kinds, the red one and the green one. I personally liked the green Saigon beer better, it had that crisp feel to it plus it had a tinge of sweetness. The next day, we went to find the two dishes that we were familiar of, The Pho Bo and the Gai Cuon. I've tasted different Pho Bo in different restaurants here in Manila but nothing compared to what I experienced in Ho Chi Minh. It looks practically the same, rice noodles in beef broth with slices of beef on top, garnished with chopped spring onions. Also served with a side of bean sprouts, mint and basil. The difference lays with the broth. The broth was more fragrant, it had that distinct sweet cinnamon scent. It was less salty, it had that 'cleaner' and refreshing taste making it more heartwarming. It was good as it is but adding a little squeeze of lime, some Hoisin sauce and a spoonful of chili sauce made the noodle dish into one unforgettable must eat. The Gai Cuon was simple and delicious. Inside the rice wrapper was lettuce, cilantro, mint, basil, vermicelli noodles, tender slivers of pork and plump fresh shrimps. The extra stalk of spring onions place on the center was a unique touch. After dipping the fresh spring rolls in the extra chunky peanut sauce, I excitedly took a bite out of a piece. The layers of texture and flavors of this simple dish was amazing, the initial sweetness that comes from the peanut sauce to the citrus and tangy flavor of the herbs and ends with the clean taste of the vermicelli. Another must eat! When we went to Khu Tay Ba Lo or the backpacker district, we were greeted by a swarm of people. A mixture of locals and foreigners were in the area, some were walking around but most were there sitting on low rise chairs with a bottle of beer in hand drinking and eating. We were told that the favorite pulutan or finger food of the locals is the Bach Tuoc Nuong or grilled octopus. Food carts were parked all over the street with their own grills,stoves pot and pans. Low rise plastic chairs were scattered all over the sidewalk and street. We looked for vacant seats and decided to try out what the locals were having, a cold bottle of beer and a plate of grilled octopus tentacles. I have tried grilled octopus before and I have to say, the one I tried here was one of the most perfectly cooked I've tried. As of the moment I still am craving for the grilled octopus I had in Ho Chi Minh. After downing a couple bottle of beers, we walked around Khu Tay Ba Lo and I found a familiar street food, Vit Lon or the Balut. A duck embryo that is usually boiled and eaten from the shell. I bought a piece to check if there is any difference in the way the Vietnamese serve and eat the duck egg. It was practically the same, the vendor gave me some salt and handed me a small spoon. One of the most common food carts that can be found in Ho Chi Minh are the ones selling Banh Mi. A sandwich that is a remnant of the colonization of Vietnam to the French. It is a sandwich that uses a French baguette, the filling usually consists of cold cuts, a choice of beef, pork or chicken, liver pate, vegetables and cilantro. Each stall has their own version and the first Bahn Mi I tried wasn't really memorable. It barely had any filling inside and it tasted so bland. I should have expected it because it cost cheaper compared to other Banh Mi prices that I saw. Luckily for me, I got to try the Banh Mi of one of the famous Banh Mi shops in District 1. Thanks to Trinh and Jill who made their way to the shop to get me a sandwich to try out. I saved my Bahn Mi and had it for breakfast the next morning. The Banh Mi was bursting with so much fillings, liver pate, cold cuts, chunks of pork, herbs, vegetables and chillies. Not only was the sandwich big and stuffed, it was also exploding with flavors. This has to be one of the most memorable sandwich I ever had. When I was researching about the must eats in Vietnam, the dish Cha Ca La Vong came about. A famous Hanoi dish which also was the restaurant's name. Luckily there was a branch in Ho Chi Minh, I didn't pass on the chance to eat at Cha Ca La Vong. The restaurant only has one thing on the menu and yet the place was packed with diners. Cha Ca La Vong is basically grilled fish with turmeric. The fish was brought out half cooked, the server proceeded to add stalks of spring onions to finish the cooking process right on the dining table. She gave the signal that it was ready for eating and we proceeded to construct our own respective dishes. I got my bowl and added a handful of vermicelli, fresh coriander and mint, grilled fish and stalks of spring onions from the pan, peanuts, chillies, doused everything with some fish sauce and added a squeeze of lime then I topped everything with a sesame rice cracker. When you look and taste each ingredient, it looks pretty simple and ordinary. But the magic begins when you mix everything up and have a full bite of every ingredient on the bowl. It's just a celebration of flavors and texture in your mouth. Fact: When we went there, there are only two Starbucks branches in the whole capital. Whenever you are in Ho Chi Minh, forget about Starbucks and or any Amercian coffee chain. The best place to have coffee is right on the street. 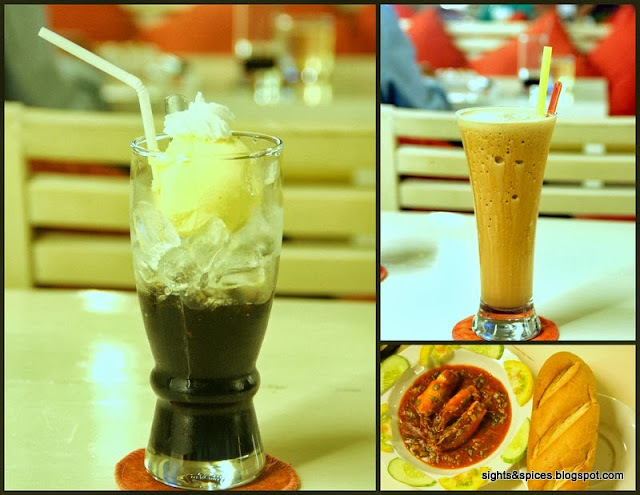 Order a cold glass of Ca Phe Da, iced black coffe or Ca Phe Sua Da, iced coffee with condensed milk. Best drink while sitting on low rise chairs while watching motorbikes zooming around the street. 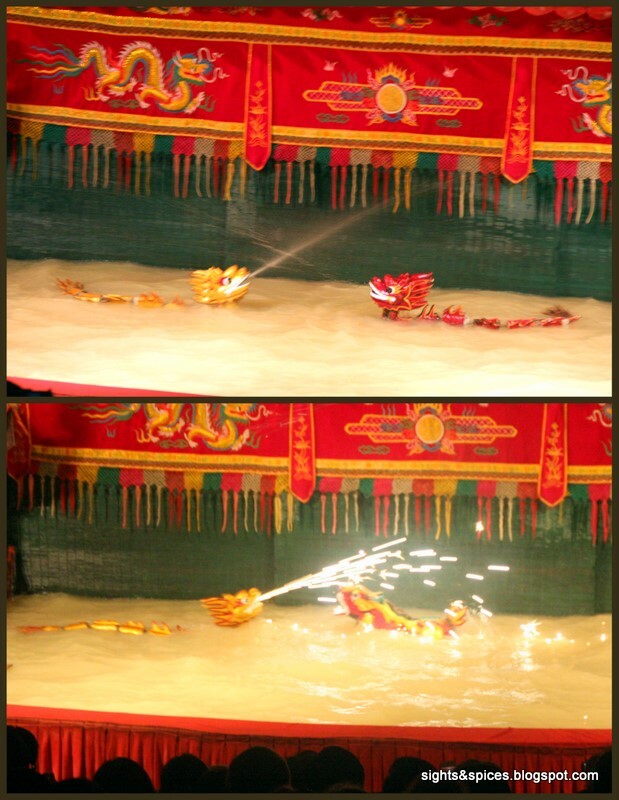 You can never say you have been to Vietnam without experiencing this. 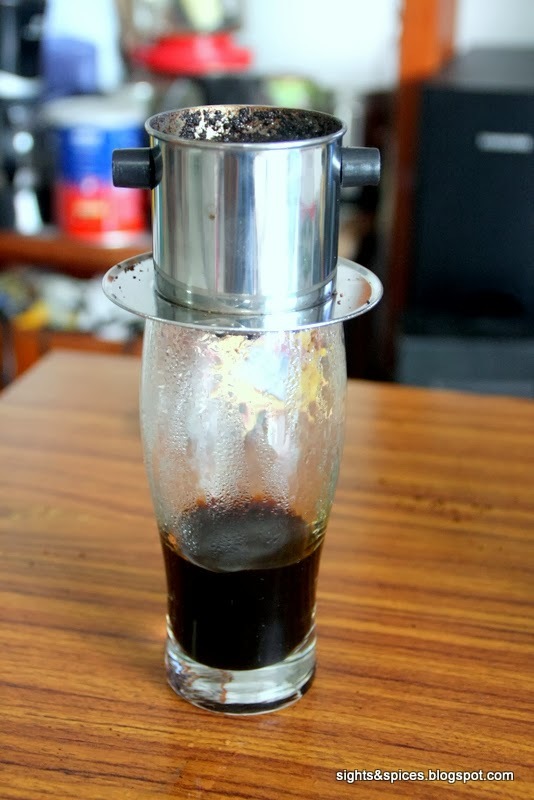 Also known as Vietnamese Coffee, Ca Phe is made using a a drip filter called Phin. Usually a big batch of coffee will be brewed in the morning and place in plastic liquid containers.When someone orders for a cup, they would either pour syrup or condensed milk in the cup, add the dark roast brewed coffee then topped it with lots of ice. You would also notice a spoon and a straw place inside the cup. The spoon is used to mix the coffee with the sweet condiment below before taking a long sip with the straw. From my experience of drinking coffee, I notice that Southeast Asian coffee beans usually are less aromatic and most has a strong bitter sour aftertaste. I've tried coffee beans from Vietnam before going there, it wasn't really memorable. The Ca Phe Sua Da I tried in Ho Chi Minh taste like chocolate. It was sweet, strong and bold. Delicious! The sweet condensed milk mellowed the coffee down and it got rid of the strong bitter sour aftertaste. The coffee can be on the sweet side so if you don't have a sweet tooth like me, ask for Ca Phe Sua Da itt sua (less milk). Must Try! There are two famous local cafes that can be found in every corner of Ho Chi Minh, Trung Nguyen and Highlands. We didn't get to have coffee in both local cafes because we enjoyed having coffee on the street stalls. But there was one cafe though that we made sure we visited, Up Cafe. It's an interesting cafe to check out, you'll see furniture and decors hanged upside down. Up Cafe is not just a novelty store to check out, it is also a good place to grab a bite and have coffee. We tried some snacks and their cold coffee concoctions. All of which were decent and good. I thoroughly enjoyed our meals in Ho Chi Minh, it was literally right on the streets where one can find great eats. If I would describe how the food in Ho Chi Minh tastes like, the words simple and clean tasting comes to my mind. I just loved how they use a lot of herbs to add flavor in their dishes. Without any second thoughts, I would definitely go back to the streets of Ho Chi Minh to eat. Going to Vietnam is one of the spur of the moment decisions to go on a trip, I initially wanted to visit Hanoi first but when the chance of going to Ho Chi Minh came about, I didn't pass on the chance. 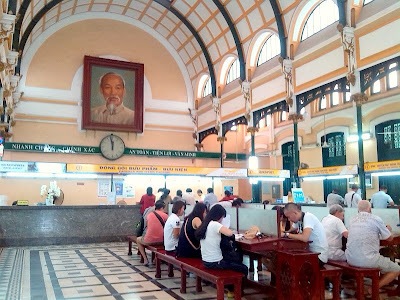 I initially expected Ho Chi Minh to be just a bustling, noisy and chaotic city but I was in for a pleasant surprise. Whenever I watch, read and hear about Vietnam, the very first description people would say is, it's a motor bike crazy country. We arrived really late at night so we didn't get to see much motorbikes on the road. It was not until the next morning that we got a first hand experience about the description, it was so true. I've never seen so much motor bikes, they are just literally everywhere. It was my first time to see a whole parking lot for motorbikes. In stores, I even saw some sort of a motorbike valet parking attendant. During our whole stay as we were going from one place to another I was surprised to see a number of parks around the whole city. These parks are filled with trees, plants, manicured grass lawns and park benches. What's even more surprising are the people hanging around these parks. Adults, teens, kids and families were lounging around, talking, having snacks and drinks, singing and playing games. I found it really nice as this is totally different from what I'm used to back here in Manila where people stay inside malls. The parks gives people a temporary getaway from all the noise and chaos. The first place of interest we passed by was Ho Chi Minh Square, a statue of the former leader and President Ho Chi Minh can be found on the square. There was an intricately designed building behind but I'm not sure what it is called. This is a nice place to take photos. Nearby was Notre Dame Cathedral, a french built Cathedral in the 1800s that still stands til today. We initially thought that the cathedral was an abandoned structure since Vietnam is predominantly Buddhist. But when we passed by on a Sunday evening, we were surprised that a mass was being celebrated. Just beside the Notre Dame Cathedral was the Saigon Post Office, it's actually an operating post office. Inside the grand post office was different souvenir shops and it was nice to see people actually writing and sending post cards. Walking furthermore we reached the Reunification Palace. 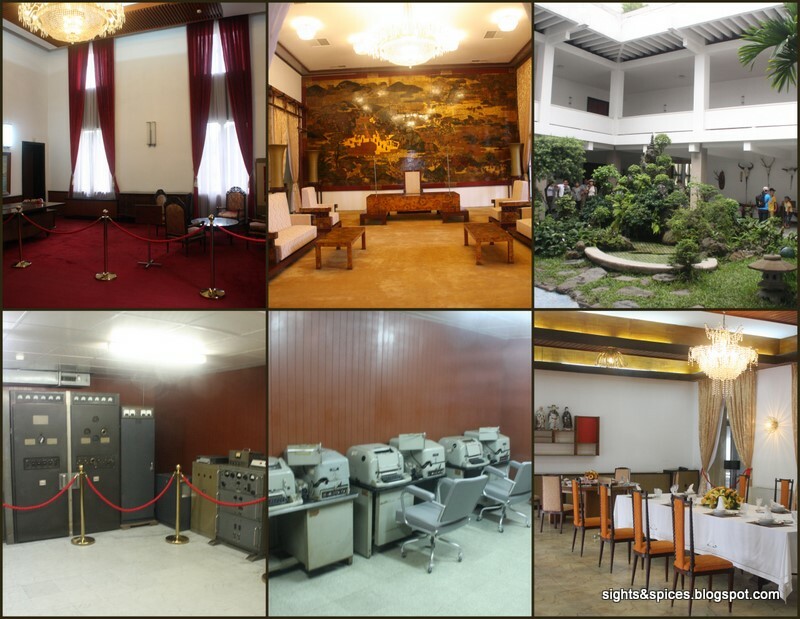 The palace served as the home and office of the President of South Vietnam before. This was also the site where the famous scene of a tank crashing into the gates took place. Inside the palace where different rooms and halls. There wasn't much explanations, I didn't get to understand much about the palace significance. I guess it's best to go in with someone who's knowledgeable or to join a tour. 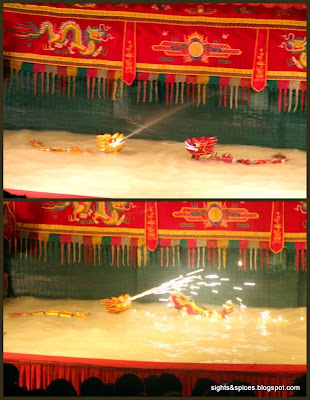 After resting at one of the park benches, we made our way to the Golden Dragon Water Puppet Theater. Make sure to get your tickets early, the place gets packed. 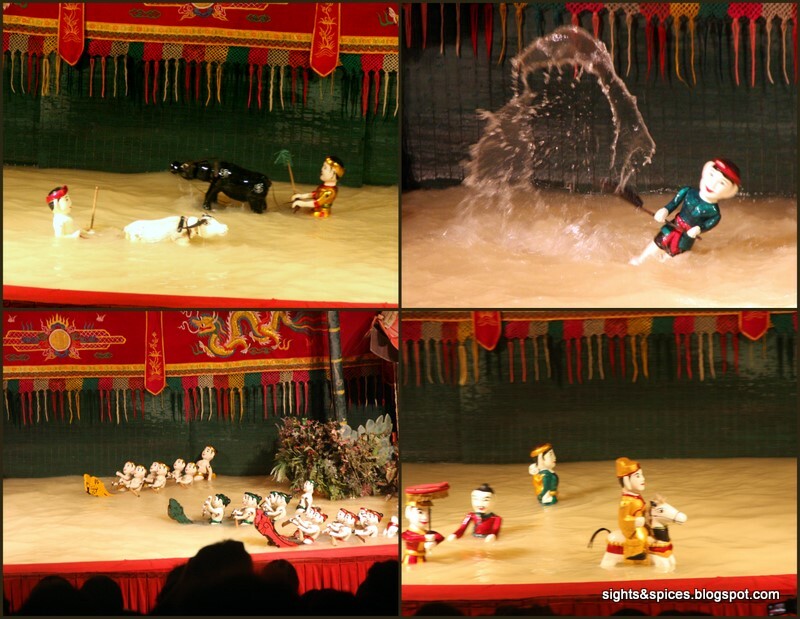 The theater features a unique water puppet show, on the center of the stage is an area filled with water and on the sides are the musicians who plays the music and give voices to the puppets. Even though I didn't understand a word from the music and dialogue since it was performed in Vietnamese, I thoroughly enjoyed watching the show. It was funny, heartwarming and there are a few surprises that wowed me. The next day we joined a tour to go to the Cu Chi Tunnels. We booked and paid a day ahead to join the tour that was provided by the Sinh Tourist. 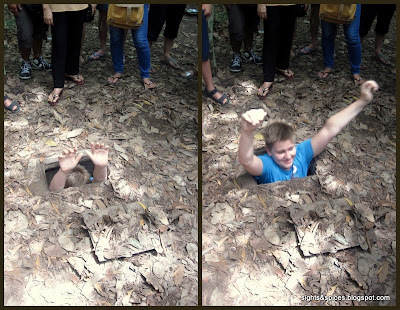 The Cu Chi tunnels are a network of underground tunnels used during the Vietnam War. One of the interesting things we saw are the different booby traps that the viet cong soldiers made. Aside from the booby traps, the viet congs also made use of what they scavenged from the war. Scavenged missiles, bombs and bullets were made into land mines and weapons plus wheels from trucks were made into rubber footwear. There was a shooting range where people can choose different rifles to fire, one just have to buy the bullets. A minimum of 10 bullets was required. We chose to fire the AK-47. The main event for the tour is the actual experience of crawling through one of the tunnels. I thought it will be easy for me but it was really hard. The tunnel was really small and narrow, the tunnel was 100 meter long and one can pick which point to go up. I made it until the 80 meter mark, just one stop away from the end. My thighs were aching and burning, I came out sweaty and tired. After the whole experience, I felt a sense of admiration for the Vietnamese. Not only were they courageous, they were also ingenious to come up with ways how to fight and survive the war. I really enjoyed going on this tour. Fitting In The Tunnel..."look ma, no hands!" I've seen a TV feature on Vinh Nghiem Pagoda where people can purchase caged birds and release them after getting a blessing from a monk. This is done to have good karma in the spiritual world. We wanted to experience the bird releasing practice but unluckily there weren't any vendors selling caged birds when we got there. It might be because we went late in the afternoon and it was raining. Before heading to Ben Tahn Market, we passed by The Saigon Opera House and marveled how beautiful it looks. How we wished there was something in English that was showing so that we'll be able to see how the inside looks. One of the most famous shopping spots for tourist in Ho Chi Minh is the Ben Tahn Market. Inside the market are a variety of shops selling everything from food and non-food items. Aside from shopping, one can also feast on local food inside the market. It's best to visit the market at night since street stalls magically appear around the market. The whole place felt so festive with all the people shopping, eating and walking around. Ho Chi Minh can be a noisy and chaotic city but there was an inexplicable calmness that I felt when I was there. Maybe it was because of the numerous green parks filled with people I saw while we sat with them at the benches. Maybe it was because of the numerous side street food and coffee shops I saw and tried out . With us sitting beside the locals slowly sipping our ca phe sua da and slurping our pho in low rise table and chairs, I called it al fresco third world style. Maybe it was because of the warm and friendly locals we met who were always open to chat and who were always willing to help us out. I guess it was about everything. I'm so glad I visited Ho Chi Minh, I'll always remember it as a unique city where I found a sense of calmness in spite of all the bustle and noise.